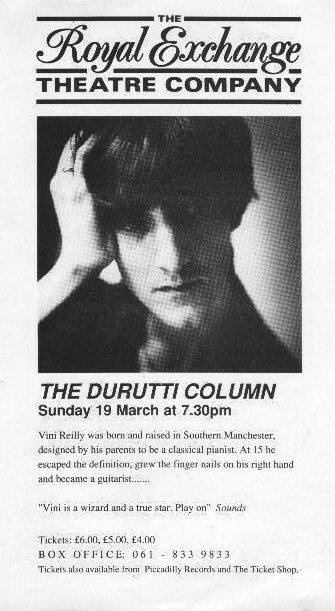 "Vini Reilly was born and raised in Southern Manchester, designed by his parents to be a classical pianist. At 15 he escaped the definition, grew the fingernails on his right hand and became a guitarist". 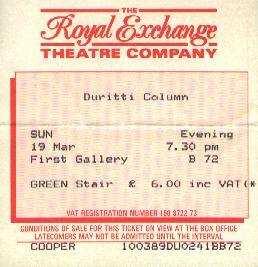 The Durutti Column live at the Royal Exchange Theatre, Manchester, Sunday 19 March, 1989. 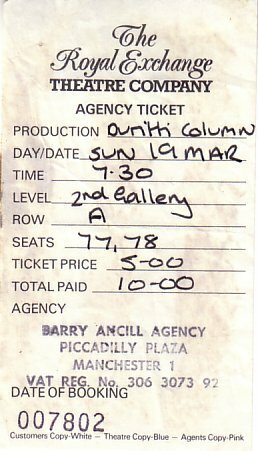 Rob Gray provided support in the intimate atmosphere of the Royal Exchange.